Non-invasive investigation of human brain activity at high temporal resolution. Magnetoencephalography (MEG) allows us to measure the ongoing brain activity with millisecond time resolution. Since the neuronal activity is detected by ~300 sensors distributed over the head, it is possible to identify where in the brain the activity is produced with reasonable accuracy. This makes MEG suited for studying the human brain as a network of interacting brain areas during performance of various tasks. The main applications of MEG are clinical investigations and cognitive neuroscience research. Synaptic input to a neuron results in a small post-synaptic current that is associated with a very small magnetic field. When a sufficiently large population of neurons receives synaptic inputs within a short time-window, the dendritic currents will sum up, producing a field which is large enough to be detected outside the head. The neuromagnetic fields of the brain are typically in the order of 50-500 fT (10-15 Tesla), which is about 100 million times weaker than the earth's magnetic field. 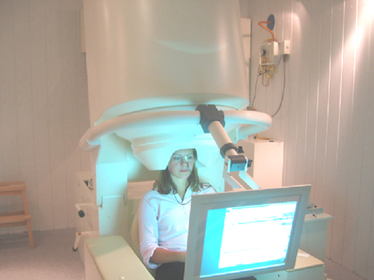 Magnetoencephalography (MEG) is a technique, which allows us to measure the magnetic fields produced by the brain. MEG is based on SQUID technology. The superconducting quantum interference device (SQUID), which was introduced in the late 1960s, is a sensitive detector of magnetic flux. Today's whole-head MEG systems contain a large number of SQUIDs (between 100 to 300) connected to sensor coils in a configuration roughly following the curvature of the head. The technique is completely non-invasive. Since the environmental magnetic noise level due to traffic, elevators etc is several orders of magnitude higher than the neuromagnetic signals, the MEG system needs to be placed in a magnetic shielded room. Since the magnetic field measured by MEG is produced directly by electrical neuronal activity, it is possible to detect signals from the brain on a sub-millisecond time scale. This makes MEG fundamentally different from imaging technologies like functional magnetic resonance imaging (fMRI), which measures blood flow changes occurring on a much slower time-scale. The activity measured by MEG may be the result of an evoked response, such as visual stimulation, or spontaneous oscillatory activity such as alpha rhythms. When analyzing the data measured by a whole-head MEG system it is often possible to identify the brain areas generating the measures MEG signals (source localization). Magnetic fields are less distorted by tissues of different conductivity compared to the electric potentials measured with electroencephalography (EEG). Consequently, source localization can be obtained with simpler volume conduction models and may result in more accurate source models. In addition, MEG does not require a reference electrode that is needed for EEG recordings. Another important difference between MEG and EEG is that MEG is insensitive to current flows oriented perpendicularly to the scalp. Only the tangential component of a current flow will produce a measurable field. This in fact makes EEG and MEG complementary techniques, and MEG and EEG signals are often recorded simultaneously. Deep Brain Stimulation (DBS) is a method for treatment of neurological and psychiatric disorders. It involves surgically inserting electrodes into the brain (usually in subcortical structures) which are subsequently connected to a stimulator implanted in the chest. The electrodes are macroelectrodes most commonly with 4 or 8 contacts about 1mm size. Intraoperative single unit recordings are also done by some groups but as long as MEG cannot be done on the operating room, MEG in DBS patients is limited to the post-operative period. MEG has some advantages for studies in DBS patients as it allows recordings from the whole head in patients shortly after surgery and can provide precise source localisation in the presence burr holes in the skull. ‍Simultaneous local field potential recordings (LFP) and MEG. The aim of this kind of studies is characterisation of connectivity between deep nuclei targeted by DBS and the cortex and other brain structures seen by MEG. These studies can be done when DBS procedure is staged which means that electrodes and the stimulator are implanted in separate surgeries a few days apart. Between these surgeries special wires are connected to the electrodes and their other end is taken outside the skin (externalised). This makes it possible to connect to the wires with external equipment for recording and stimulation. There are several challenges in this kind of studies. The patients might not be feeling very well shortly after brain surgery. They have fresh surgical wounds which makes it difficult to properly position them in the MEG. The wires and metal screws used for the surgery might create artefacts in the MEG signal. At the moment some of the manufacturers of DBS equipment (e.g. Boston Scientific, Abbott) provide externalisation wires that are not ferromagnetic and MEG compatible while others (most notable Medtronic) by default provide ferromagnetic wires and can provide the non-ferromagnetic variant of the wires only by special arrangement. Patient safety requires using specially approved amplifiers for intracranial recordings. Particularly important is optical isolation from the mains power. Not all EEG systems built in MEG scanners are deemed safe enough and often an external amplifier needs to be used and synchronised with the MEG offline (e.g. using triggers recorded on both systems). ‍Studies of responses to DBS in patients post stimulator implantation. Logistically, these are easier to do, but stimulator in the chest is another source of artefacts. Both standard artefact reduction methods (such as beamforming and tSSS) and specially developed methods have been used to successfully address the artefact problem. For these kind of studies the mode of stimulation can be important. Clinically, the stimulation is often done in a ‘monopolar’ fashion where the current is passed between one of the contacts in the brain and the stimulator metal case. This way of stimulating causes extremely severe artefacts in MEG because the current flows in a very large loop through the head and the chest. Bipolar stimulation between two contacts on the same electrode is much less problematic and the associated artefacts are often hardly detectable especially in the presence of more severe artefacts from the stimulator and the wires. Stimulation studies can also be done in externalised patients which makes it possible to increase the distance between the stimulator and the MEG helmet and better customise stimulation paradigms. ‍Studies of DBS effect on task related evoked or induced responses in the MEG. These face the same issues as above. ‍Simultaneous stimulation and LFP and MEG recordings. Only one such study has been done to date. It requires externalised wires and special amplifier for stimulation and recording. The stimulation can only be done in a monopolar arrangement which generates severe artefacts and makes the data challenging for analysis. 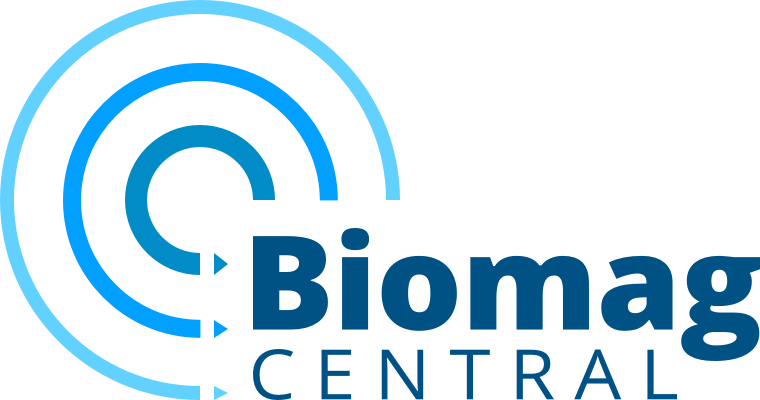 From the clinical perspective there is interest in neurophysiological biomarkers that would improve surgical targeting and DBS programming. Some DBS targets can be clearly defined using structural imaging but for others, this is not the case. For some diseases such as Parkinson’s the DBS affect is immediate but for others such as Dystonia it takes months to fully manifest making optimisation of stimulation settings very difficult. So, for instance, one could ask if there is anything special about DBS contacts where stimulation works well in terms of their connectivity patterns with other brain areas or in terms of effect of DBS there on MEG measures as compared to other contacts. MEG correlates of DBS side effects can also be clinically useful. From the basic research perspective DBS surgery provides a unique opportunity to record from deep nuclei not seen very well by non-invasive methods. There is interest in studying the activity and connectivity dynamics of these nuclei in the context of cognitive tasks which are known to engage them. There are now telemetric stimulators on the market (e.g Activa PC+S from Medtronic) that allow to record local field potentials and either store them on the stimulator for later download or stream them online to an external recording device. Potentially these devices could allow LFP-MEG recordings in chronically implanted patients. However, this poses new challenges related to synchronisation and artefacts. This kind of studies can also be done quite well with EEG so it is not clear whether MEG would have any special advantages. Recently new tools for obtaining precise anatomical information about contact locations became available, particularly the Lead-DBS toolbox (http://www.lead-dbs.org). These tools allow more precise mapping of neurophysiological markers in subcortical space and linking MEG connectivity measures with DTI and fMRI networks. Recordings with novel MEG sensors based on optically pumped magnetometers can also improve tolerability of these experiments in the future as the patient’s head will be less restricted and more flexible placement of reference sensors might provide new ways of artefact reduction. Approximately 50 million people worldwide suffer from epilepsy. This disorder is characterized by unprovoked, recurring seizures. Depending on the involved brain areas and systems, their semiology is highly variable, including staring, simple and complex movement patterns, changes of perception, unconsciousness, collapsing and tonic-clonic seizures (“grand mal”). Seizures can have a severe impact on patients’ lives by increasing morbidity and mortality. However, by far the biggest consequence of epilepsy, is the deterioration of their quality of life even by a few, seemingly harmless seizures. In addition, depending on the location of epileptic activity in the brain it may interfere with cognitive functions (Elger et al., 2004; Cornaggia et al., 2006). Approximately 60-70% of all newly diagnosed epilepsy patients become seizure free with the first antiepileptic drug (AED). However, chances decrease to 5-10% and less to become seizure free with the second or further AED for the remaining patients (Kwan and Brode, 2000). Even if a reduction of seizure frequency and severity can be achieved, adverse reactions to the medication may limit success of pharmacological therapy. In cases of pharmacoresistant epilepsies, i.e. AED therapy is not effective or has adverse reactions, epilepsy surgery may be considered a therapy option, next to further AED therapy, vagal nerve stimulation (Rychlicki et al. 2006, Renfroe et al. 2002) and diets (Groesbeck et al. 2006). In patients with temporal lobe epilepsy for example, approximately 50% of surgically treated patients became seizure free, whereas medically treated patients had a chance of only 6% according to a randomized controlled trial (Wiebe et al., 2001). An essential prerequisite for epilepsy surgery is the unambiguous localization of the epileptogenic zone, defined as the brain region which is essential for seizure generation, i.e. the ‘causa sine qua non’, resection or disconnection of which results in seizure freedom. Functionally distinct, is the irritative zone, which generates interictal epileptic discharges, e.g. spikes and sharp waves, in the time intervals between seizures. The epileptogenic and the irritative zone are distinct in concept, but may be overlapping or even be identical in reality. This “epileptic focus” may be very circumscribed and well localized in focal epilepsies, but can also have a more complex architecture with more than one seizure generating area and propagation pathways, which may be better described as an “epileptic network”. A wide spectrum of diagnostic methods is applied to localize this epileptic network and estimate its relationship to essential functional areas. For example, next to the structural MRI, long-term video-EEG, SPECT and PET, MEG may be used to register ictal and inter-ictal patterns. Source analysis of the recorded brain activity may provide a focal localization. In practice, recording ictal data is a logistical problem, due to the limited time a patient is able to remain still in the MEG. Therefore, most focal localizations are derived from inter-ictal spike data and thus reflect the irritative zone. Nevertheless, these results can be used effectively in the presurgical evaluation and planning, as well as contributing crucial information that will enable a successful surgery (Stefan et al. 2004; Mäkela et al. 2007; Funke et al. 2009). An advantage of MEG in this regard is the very high sensitivity to a small neuronal population in the neocortical areas (Goldenholz et al. 2009). MEG and EEG provide complementary information as some spikes may only be visible to the MEG or only visible to the EEG, however, the majority of spikes are seen in both modalities, as demonstrated by Iwasaki and colleagues (Iwasaki et al. 2005). MEG is therefore a valuable method for the presurgical evaluation of patients with pharmaco resistant epilepsy, which may provide information that would not have been available without it. Ben Renfroe, J., and Wheless, J.W. (2002). Earlier use of adjunctive vagus nerve stimulation therapy for refractory epilepsy. Neurology 59, S26-S30. Cornaggia, C.M., Beghi, M., Provenzi, M., and Beghi, E. (2006). Correlation between cognition and behavior in epilepsy. Epilepsia 47, 34-39. Elger, C.E., Helmstaedter, C., and Kurthen, M. (2004). Chronic epilepsy and cognition. Lancet Neurol 3, 663-672. Funke, M., Constantino, T., Van Orman, C., and Rodin, E. (2009). Magnetoencephalography and Magnetic Source Imaging in Epilepsy. Clinical Eeg and Neuroscience 40, 271-280. Groesbeck, D.K., Bluml, R.M., and Kossoff, E.H. (2006). Long-term use of the ketogenic diet in the treatment of epilepsy. Dev Med Child Neurol 48, 978-981. Goldenholz, D.M., Ahlfors, S.P., Hamalainen, M.S., Sharon, D., Ishitobi, M., Vaina, L.M., and Stufflebeam, S.M. (2009). Mapping the Signal-To-Noise-Ratios of Cortical Sources in Magnetoencephalography and Electroencephalography. Human Brain Mapping 30, 1077-1086. Iwasaki, M., Pestana, E., Burgess, R.C., Luders, H.O., Shamoto, T., and Nakasato, T. (2005). Detection of epileptiform activity by human interpreters: Blinded comparison between electroencephalography and magnetoencephalography. Epilepsia 46, 59-68. Kwan, P., and Brodie, M.J. (2000). Early identification of refractory epilepsy. New Engl J Med 342, 314-319. Makela, L.P., Forss, N., Jaaskelainen, J., Kirveskari, E., Korvenoja, A., and Paetau, R. (2006). Magnetoencephalography in neurosurgery. Neurosurgery 59, 493-510. Rychticki, F., Zamponi, N., Trignani, R., Ricciuti, R.A., Iacoangeli, M., and Scerrati, M. (2006). Vagus nerve stimulation: Clinical experience in drug-resistant pediatric epileptic patients. Seizure-Eur J Epilep 15, 483-490. Stefan, H., Hummel, C., Scheler, G., Genow, A., Druschky, K., Tilz, C., Kaltenhauser, M., Hopfengartner, R., Buchfelder, M., and Romstock, J. (2003). Magnetic brain source imaging of focal epileptic activity: a synopsis of 455 cases. Brain 126, 2396-2405. Wiebe, S., Blume, W.T., Girvin, J.P., Eliasziw, M., and T, E.E.S. (2001). A randomized, controlled trial of surgery for temporal-lobe epilepsy. New Engl J Med 345, 311-318. Zijlmans, M., Huiskamp, G.M., Leijten, F.S.S., van der Meij, W.M., Wieneke, G., and van Huffelen, A.C. (2002). Modality-specific spike identification in simultaneous magnetoencephalography/electroencephalography - A methodological approach. Journal of Clinical Neurophysiology 19, 183-191. In addition to the localization of pathological brain activity, MEG is also frequently used in clinical settings for mapping of essential functional areas. Such information can then be used preoperatively to determine whether the removal of e.g. a tumor, arteriovenous malformation (AVM) or epileptic focus is viable without causing a functional deficit. The surgical strategy can be optimized and tailored to the individual patient to plan the best surgical route to minimize complications and to achieve the best possible outcome. A typical example for this application is the localization of somatosensory areas. Pulses of air are used to stimulate the patient’s fingers, face, and toes while evoked brain activity responses are recorded and processed using source localization analysis. Similar techniques with different stimuli can be applied to locate essential functional areas for hearing and vision. The results are mapped to the individual patient’s MRI and can also be used for intraoperative neuronavigation. MEG therefore provides non-invasive means for functional mapping during preoperative evaluation, in contrast to intraoperative awake surgical mapping (Duffau et al. 2003), a time-consuming procedure, demanding for both the patient and the surgical team. Another alternative for localizing functional areas is fMRI, but this method may yield false results in patients with altered perfusion, due to tumors (Sakatani et al. 2007), stroke lesion (Murata et al. 2006), as well as in patients with abnormal areas of brain activity such as epilepsy (Benke et al. 2006). Evoked responses in MEG however remain undistorted by such influences. MEG functional mapping, as part of the clinical routine, has proven to yield good results, which complement other methods, such as intraoperative electrical stimulation and/or the WADA-test for epilepsy patients (Frye et al. 2009). Benke, T., Koylu, B., Visani, P., Karner, E., Brenneis, C., Bartha, L., Trinka, E., Trieb, T., Felber, S., Bauer, G., et al. (2006). Language lateralization in temporal lobe epilepsy: A comparison between fMRI and the wada test. Epilepsia 47, 1308-1319. Duffau, H., Capelle, L., Denvil, D., Sichez, N., Gatignol, P., Taillandier, S.T.L., Lopes, M., Mitchell, M.C., Roche, S., Muller, J.C., et al. (2003). Usefulness of intraoperative electrical subcortical mapping during surgery for low-grade gliomas located within eloquent brain regions: functional results in a consecutive series of 103 patients. J Neurosurg 98, 764-778. Frye, R.E., Rezaie, R., and Papanicolaou, A.C. (2009). Functional neuroimaging of language using magnetoencephalography. Phys Life Rev 6, 1-10. Murata, Y., Sakatani, K., Hoshino, T., Fujiwara, N., Kano, T., Nakamura, S., and Katayama, Y. (2006). Effects of cerebral ischemia on evoked cerebral blood oxygenation responses and BOLD contrast functional MRI in stroke patients. Stroke 37, 2514-2520. Sakatani, K., Murata, Y., Fujiwara, N., Hoshino, T., Nakamura, S., Kano, T., and Katayama, Y. (2007). Comparison of blood-oxygen-level-dependent functional magnetic resonance imaging and near-infrared spectroscopy recording during functional brain activation in patients with stroke and brain tumors. 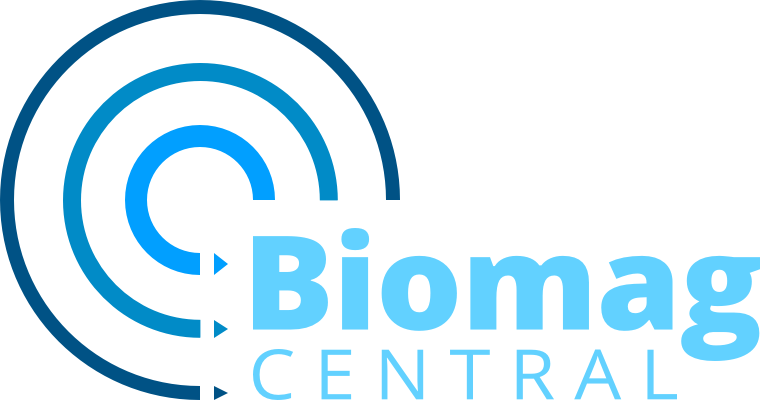 J Biomed Opt 12, 062110.